As of today, Paragon's Bomberman 2 can be downloaded for free! In the past time, MSX users have informed Paragon that their downloaded or bought copy of this game didn't work. So, there actually is a non-working copy out there, a bug which manifests itself in level 5, and it happens on both original MSX machines and emulators. The disk image provided on the Paragon website does not have this problem and is the only correct version. When SCREEN 1 is the preset of machine an error will be showed. Beautiful game! Thanks for sharing! If unfixed, this game will fry the PSG of any MSX based on discrete chips, like the ExpertTurbo and any brazilian MSX upgraded to MSX2/2+. 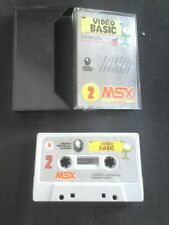 I don't remember of any other MSX2/2+ based on discrete chips, but they're also at risk. Thanks for the reactions ! 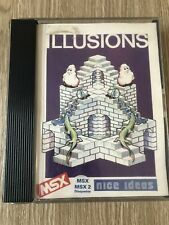 Does someone have a list of possible affected MSX machines ? then we could add that as a warning to the download section. It's using the Moonblaster replayer I guess.. The PSG warning is an artifact of this stone age MB player. All old demos, music disks and magazines that have used this MB player show the same warning in openMSX. It's about PSG register 7 iirc, make sure bit 6 is 0 and bit 7 is 1, perhaps you can check the MB player source for this and fix it yourself..? My Sony HB-G900P also suffered from this. It didn't start up for a while once. I tried to debug the game, but instead I stomped on another bug that prevents openMSX watchpoints to be used to locate the BomberMan2 problem... I hope they fix it soon. Thanks for all the suggestions and reactions. I may have a look this week at the source code (if i can find anything ) and look for a way to patch the game. assuming the code is not compressed, isn't it easier to patch the binary? It's really funny to create these maps !! !